Incoming of businesses like Uber and Lyft have made it harder for traditional taxi services to survive. In fact, the ride-hailing businesses have stolen the market from them. The convenience of booking the service, efficient and timely rides, availability, etc.. were the factors that catalyzed the change. Since the impact of digitization was massive and as it spreads over every aspect of our lives, it left the taxi industry with no other option but to adopt the change happening. However, if you are running a taxi business, optimizing your business for mobile devices is crucial. 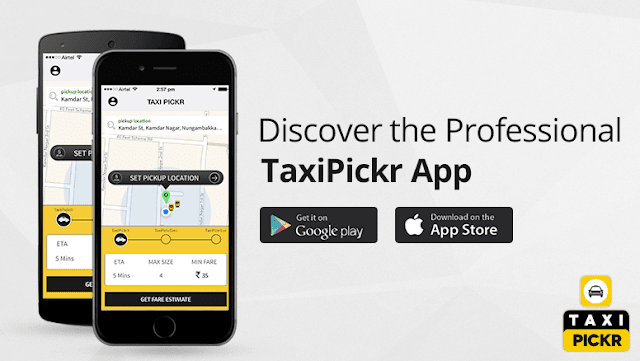 In fact, for existing taxi businesses, they need a mobile app as an extension of their services. Here we document the technological as well as the attribution requirements needed to set up an Uber-like mobile app. 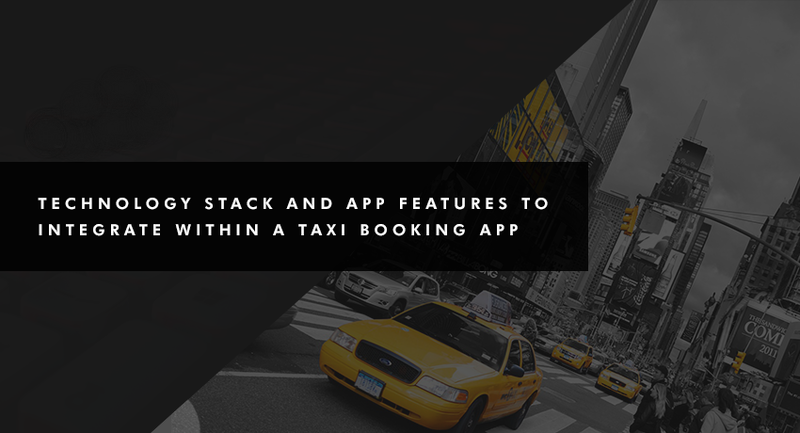 When developing a mobile application similar to Lyft or Uber, one should consider have two distinct sets of technology stacks, for iOS as well as Android. - Google Maps Android API to develop directions, routes, and navigation. Features or attributes are significant as it defines how efficient your application is. Since a taxi booking system includes two different applications for passengers as well as drivers, features should be integrated considering those entities. Besides, since the core perspective is business, including admin-side attributes are crucial as well. Aforementioned the core features one should consider incorporating while developing a customized taxi application like Uber. Authentication Options - Provide multiple authentication methods. Social media integration will be convenient to the users. Sign up via regular Email is important as well. User Interface and Navigation - An excellent UI matters. It allows users to easily perform their desired tasks. When it comes to a taxi booking application, an efficient booking interface is crucial. It enables users to book rides without any hassles. Fare Estimator - Accurate pricing is important as it can influence the credibility of your business. Handling the peak hour fare calculations are equally important. Ratings and Review - Rating the services help businesses understand the expectations of the users, which in turn help them improve their service. Instant Notifications - This signifies an active communication, through which admin can notify users about the ride confirmation, cancellation and many more. Ride Summary - Offering a feature to show the ride history will not hurt. In fact, it gives clarity about the previous rides and transactions. Payment Gateways - Secure transaction channels are necessary. Integrating reliable gateways like PayPal is admired. Driver’s Profile and status - Drivers must provide certain verification. It can be a license, tax number or anything. The status feature allows you to find whether the driver is available or not. Booking Alert - Similar to push notifications, the purpose of this specific feature is to alert drivers about new bookings, payment, and route information, canceling rides and more. Route Navigation and Directions - Precise navigation and directions will help in offering the best ride possible. By suggesting the best route, it will eliminate the possible hurdles in the route. Fare Calculation - Just like passengers, drivers have the right to know the cost of the service provided. Sharing the Fare with a Friend- Uber has introduced a feature that allows their customers to split the fare with their friends. Even though it targets a particular group of people, it can be adopted as an innovative attribute. Requesting the Regular Driver - There is nothing unusual here. We all have personal favorites, don’t we? Certain people like to hire their regular drivers and by incorporating a feature to satisfy this specific set of users, you can gain a great customer loyalty and credibility. Voice Feature - Voice feature is incredibly important, especially now. It is more convenient as it reduces the human effort. In-app Calling - This can be done through VoIP integration. However, it will increase your development cost to a certain extent. Apart from all the above-given characteristics, there should be some admin-side features to help businesses streamline their operations. Admin Panel - An admin dashboard helps businesses rationalize the activities that happen within the platform. It aids manage, organize and optimize the process. Moreover, it proposes the best navigation for the ride; manage revenue and payroll, also collect customer data with the help of advanced analytics feature. Operations such as monitoring and tracking the ride realtime are also possible. Ride-hailing services are conquering the taxi market and it intends to completely replace the conventional taxi service in near future. However, the only way to survive is to go with digital. And building an Uber-like business from scratch takes serious effort and dedication. You need to be so clear about the requirements and goals, moreover, sure about the choices you are making.